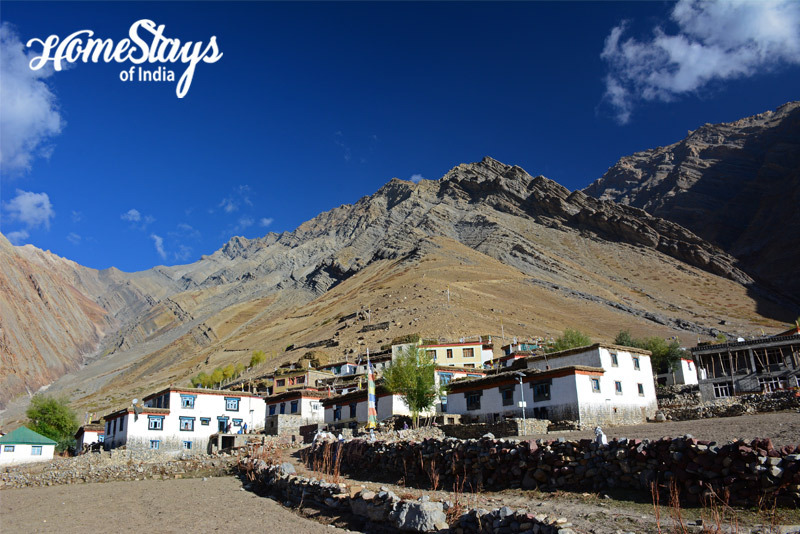 Pin Valley is the the most picturesque valley in Spiti and home to Snow Leopard and Ibex. 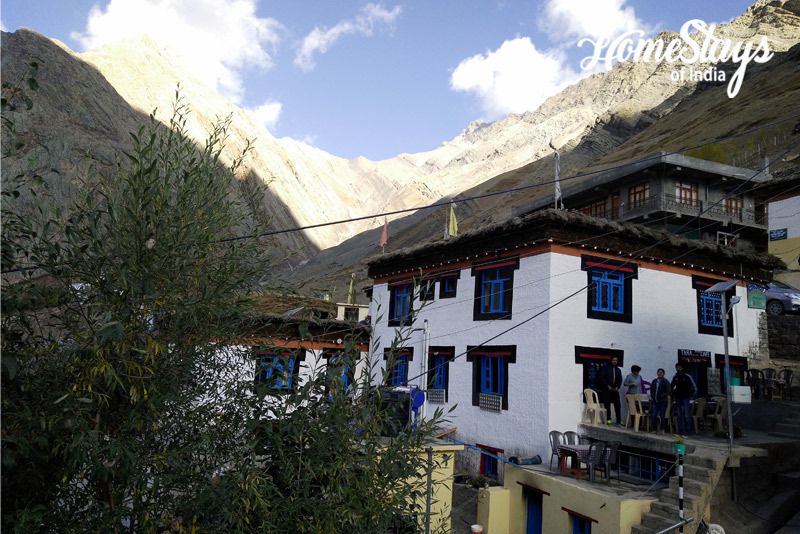 Mudh village (3770m), 28km up the valley road from the highway is the last destination in Pin Valley and also the entrance of 675 sq km Pin Valley National Park.Some 100 year back there used to be only 8 houses, now it has 40 with a total population of 335. The village is surrounded by green peas and barley field and covered with colorful mountains. 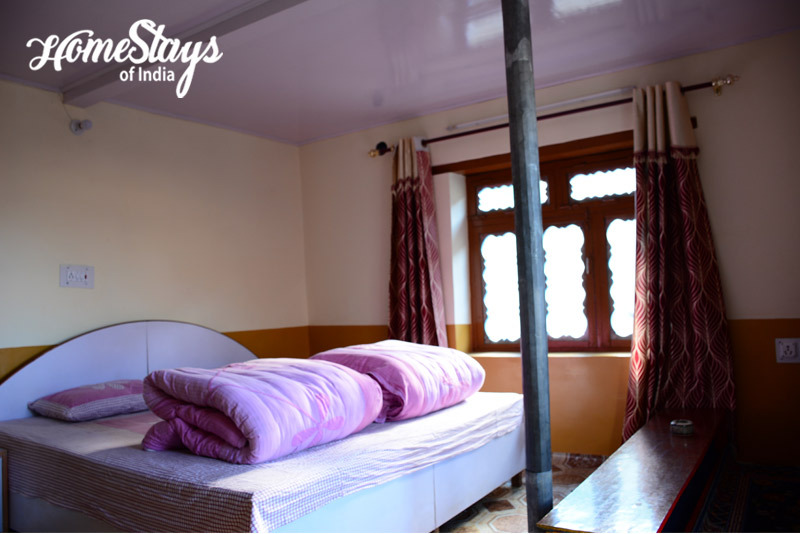 Mudh Homestay came up in 2004, one year after road reached the village and became the first homestay of Pin Valley. 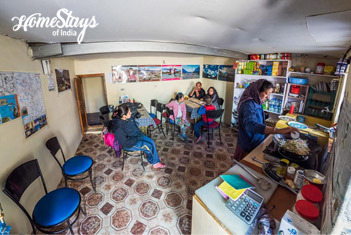 Since then it is providing unique hospitality to travelers from every corner of the world.Tara’s Cafe serves especially home cooked delicious Indian, Chinese, Continental and local foods. 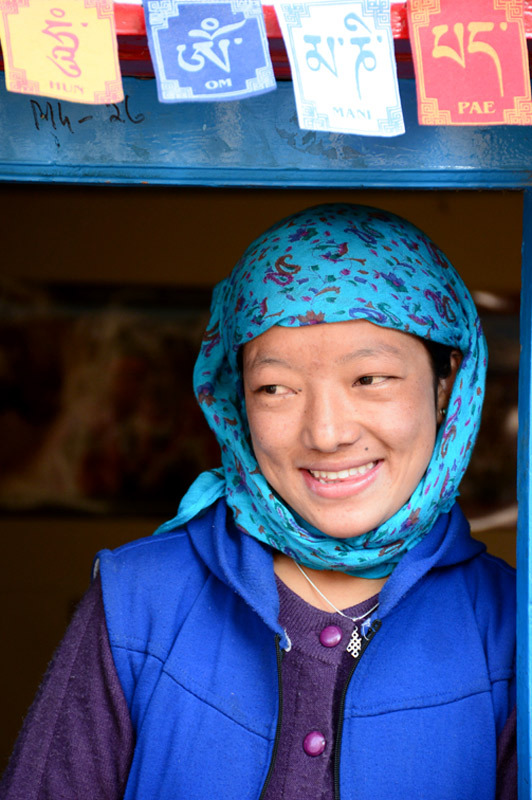 Dolkar, a shy girl is the in-charge of kitchen and café. Her uncle Sonam Gyalson is an avid trekker and speaks fairly good English. He loves to talk about the village and his trekking experiences. Dolkar takes food very seriously. She try her best to cater people from any country. 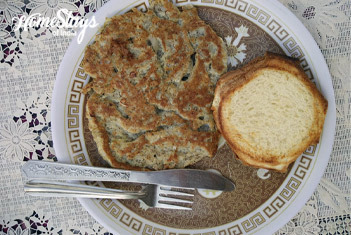 She cook fabulous breakfast including Tibetan bread, Butter toast, Bread Omelet, Parantha etc. You may ask for coffee anytime. In dinner, you get Indian and Tibetan food. In case non veg required, give her extra time to arrange. INCLUDING: Veg. Breakfast, Dinner, Tea and Snacks. • Learn how to make Chang or Arak, the local liquor made from barley grains. • Get cooking lessons about how to make Spitian dishes such Tibetan Bread, Than Thuk, Timo or Thukpa. • Learn how to make a Galicha, traditional rug made of local wool. Mudh also is the trailhead for some spectacular treks.